Great Western trains run to and from London Paddington. Trains on the Chiltern Railways service run from Marylebone. Both take about an hour. Coaches, including the Oxford Tube and X90, run regularly from Victoria Station and take just over an hour and a half. Splash out at The Randolph, the setting of many an Inspector Morse mystery. the Bodleian Library. Or head for the wisteria-clad Old Parsonage Hotel, housed in a 17th-century building. For a bohemian breakfast, head to Georgina’s, on the upper level of the Covered Market – perhaps the oldest in England. Grab sandwiches at the Alternative Tuck Shop (24 Holywell Street) for a picnic lunch in the meadows or snuggle into the student favourite, The Nosebag Restaurant, for a filling risotto or quiche. 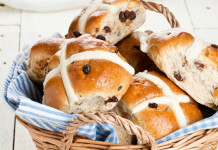 Pop into The Vaults and Garden Cafe for traditional afternoon tea. Feast on upmarket British classics in the elegant conservatory of Gee’s for dinner. 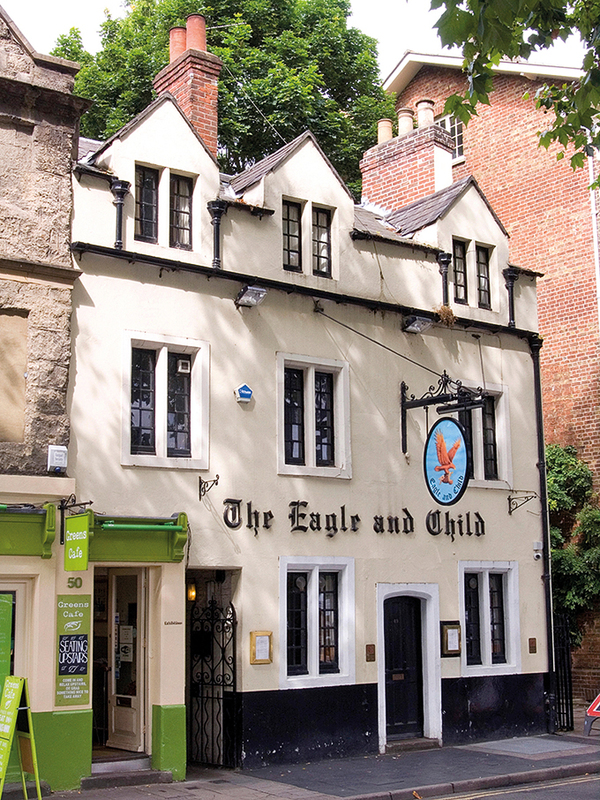 Of the many pubs, dip into The Eagle and Child, where the Inklings, a literary group including JRR Tolkien and CS Lewis, used to meet. 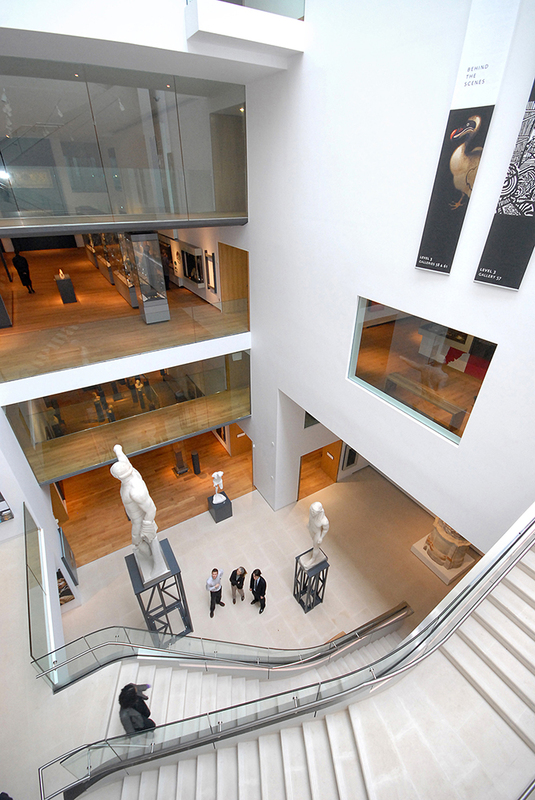 Founded in 1683, the Ashmolean, run by the university, is Britain’s oldest public museum. Among its extensive collection, look out for a treasured Stradivarius violin, Oliver Cromwell’s death mask and art by Michelangelo, Leonardo da Vinci and JMW Turner. The university’s museum of anthropology, the Pitt Rivers, is also worth a visit. Wander through galleries of feather headdresses, canoes and totem poles. The collection comprises a cool half a million objects. The University Museum of Natural History next door, meanwhile, contains not just a couple of dinosaur skeletons, but the dodo that inspired Lewis Carroll as he was writing Alice in Wonderland. Should it be remotely dry, punting is essential. Rent a boat from Magdalen Bridge and head up the River Cherwell. 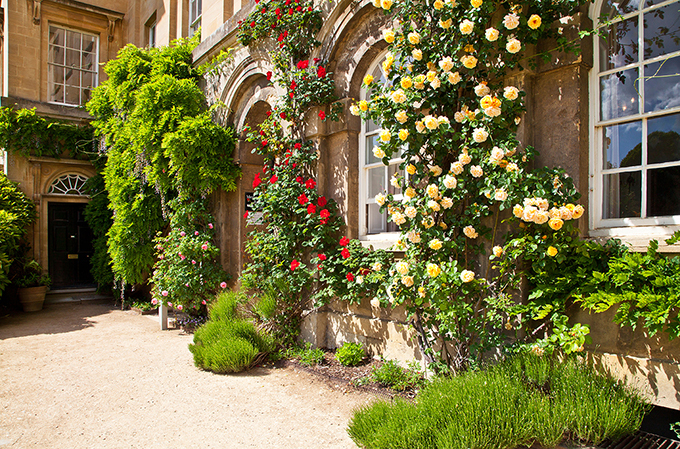 And if it happens to be warm, head to the University of Oxford Botanic Garden. The oldest botanic garden in the UK and one of the oldest scientific gardens in the world, it contains more than 8,000 species of plants. 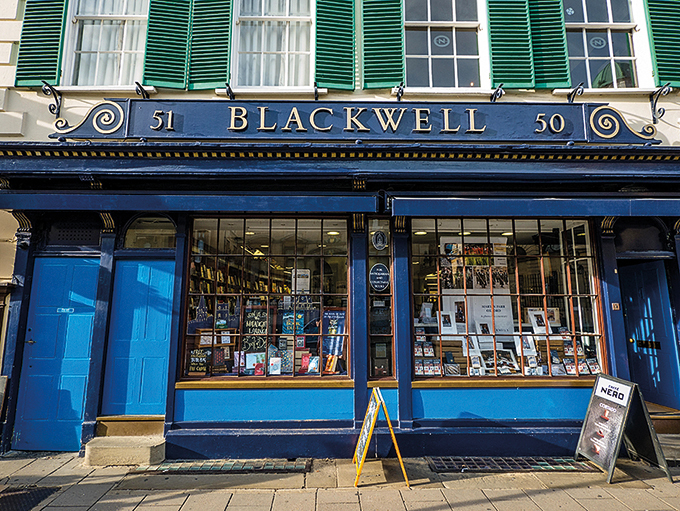 Oxford doesn’t just have the odd good bookshop, it has a branch of Blackwell’s with the largest single room selling books in the world – it has three miles of shelving. For unusual jewellery, ornaments and prints, head to Antiques on High, on the High Street. The unassuming front hides a maze of stalls. The Covered Market is also worth a browse. You can’t miss life inside the colleges. 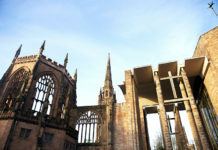 Tours start from the Visitor Information Centre. Blenheim Palace, home to the Dukes of Marlborough, and the birthplace of Sir Winston Churchill, is just 10 miles away. Gaze at the gloriously ornate rooms of the Baroque country house and relax in the Capability Brown-designed gardens. Follow the literary trail beyond Brideshead with Evelyn Waugh’s Oxford, a beautifully illustrated biography by Barbara Cooke and Amy Dodd (The Bodleian Library, £20).